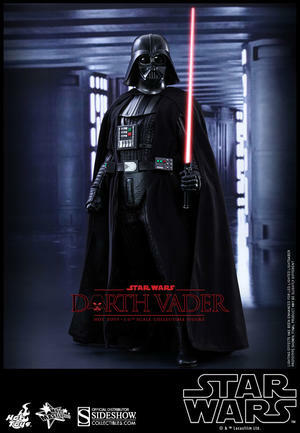 Darth Vader is one of the most iconic characters in the Star Wars saga and has frequently been regarded as one of the greatest villains in cinema history. 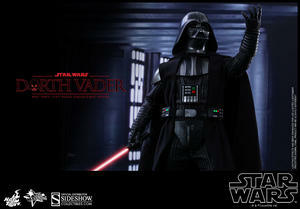 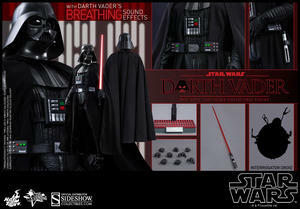 Sideshow Collectibles and Hot Toys welcome fans to the dark side and are excited to officially introduce the highly-detailed and amazingly crafted Star Wars Episode IV: A New Hope sixth scale Darth Vader Collectible Figure, complete with the Sith Lord’s iconic breathing sound effects and LED-lighted functions! 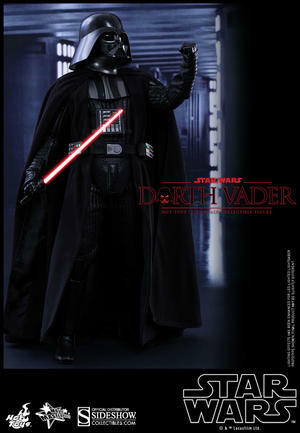 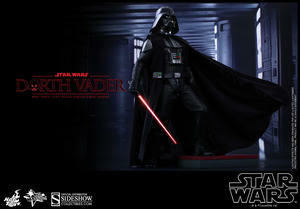 The movie-accurate collectible figure is specially crafted based on the image of Darth Vader in Star Wars Episode IV: A New Hope, featuring an intricately-constructed Darth Vader armor and helmet, specially tailored suit, built-in sound effect function with Darth Vader’s breathing sound, LED-lighted lightsaber and belt, a finely made Interrogator Droid, and a specially designed figure stand.